The remarkable lady with an extraordinary eye from the super-hit TV series Six Feet Under is none other than Frances Conroy. A lot of fans of the series believed for so long that Conroy’s eye was made of glass especially for her role in the drama. However, her eye is 100% real as she suffered from corneal damage a long time ago due to an accident. 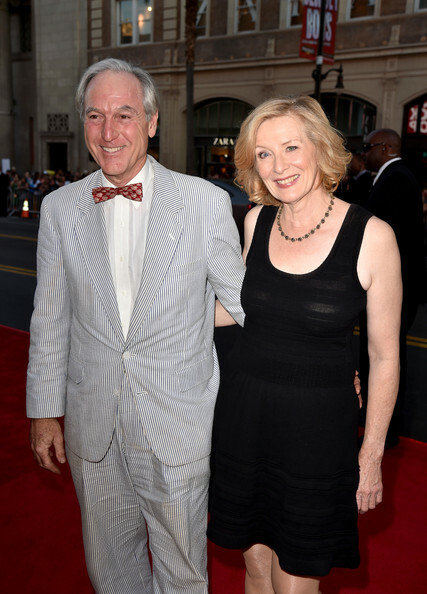 Conroy is happily married to her husband Jan Munroe since 1992. Her relationship with her husband is going great despite the years. Read more about her personal life and the eye accident in details. 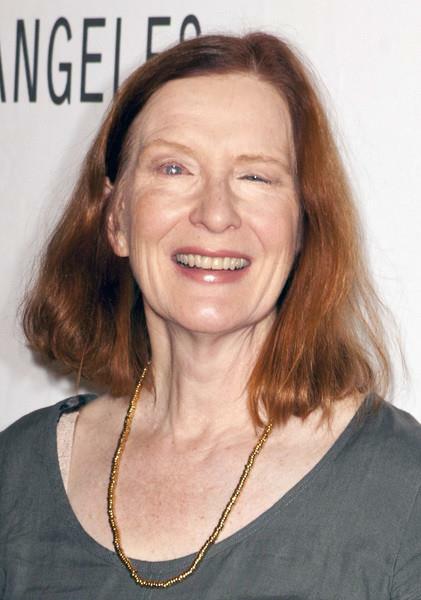 Frances Conroy’s strange eyes had always been a matter of interest to the people. Her unique left eye made the show’s viewer more and more curious about each passing day. To end the question, a fan page posted on Facebook in 2014, that addressed all the questions and assumptions hovering in people’s mind. The page revealed that Conroy is suffering from a corneal damage due to a strike that happened to her left eye. The whole incident is believed to have taken place when Conroy had a car accident many years earlier. As a result, her left eye became weak in vision and light-sensitive as well. It doesn’t behave like a normal eye and is discolored. Conroy uses color lenses to hide her eye issue. Due to the trauma of the accident her eyes are super sensitive to light which is why it sometimes looks glazed but, fortunately, she can see from those eyes. Her extraordinary eye helped her get the role of Moira O’Hara in American Horror Story. The screenwriter Ryan Murphy asked her to avoid the lens so that the story successfully shows her death caused due to a shot in the eye. Conroy has succeeded in getting good roles in various movies and series because of her talent despite having the eye issue. She has also been the recipient of prestigious awards such as Emmy Award, Saturn Award and so on. Clown Prince’s Mom in Joaquin Phoenix’s 2019 movie Joker. The movie is set to be released on October 4, 2019. Conroy is happily married to her husband Jan Munroe. The pair has been together as a husband and wife since 1992. All the years have been very positive for Conroy and her husband. Their relationship is still solid even though they have been together for 25 years and are living happily even without any children of their own. There are no records of Conroy's extra-marital affairs to date. Likewise, there are no divorce rumors between Conroy and her husband as well. Their marriage should be considered a goal by many couples with devastating marriages. How much is Frances Conroy net worth? American actress Frances Conroy has a net worth of $4 million. Claudia Cowan bio. Is Claudia Lesbian? Her family and rumors about sexuality.